"When you are quiet, you see everything with love." "I am only here to share my knowledge with others and to help them make rapid progress on the path of yoga." "Develop a strong desire for liberation!" "Always remember that nature refuses to be rushed. She can only be made to evolve and that takes time. Take heart!" "All these rituals we do... are just for us to express how grateful we are to be here." My life has gone upside down many times; in my yoga life though, inverting has always eluded me. I came up with many viable reasons for this, blaming my gymnastics teacher who denied me my beloved balance beam until I learned to do multiple backward summersaults on the mat. Yawn. I blamed my thick thighs which I felt were far too heavy to lift higher than my hips. Gravity’s got me like. I blamed my unwarranted fear that kept me rooted to the ground no matter how many people kindly attempted to show me their way of going upside down on their heads. Feeling somewhat defeated, I eventually came to accept it as fact. 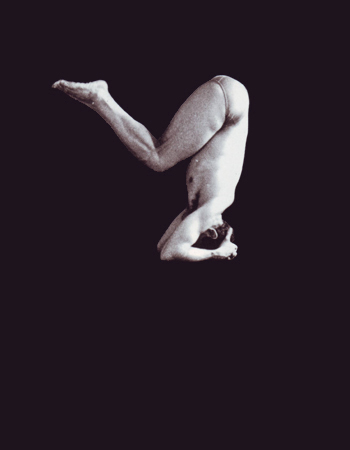 I cannot do a headstand. There, I said it. Let others do it, let others teach it. It just won’t be me. Four words were all it took. “YOU DON’T HAVE TO,” and I was suddenly set free. Andrew continued, asking if I could consider removing the goal of conquering the pose, to take if off of my to-do list and to remember that asana is not the yoga I was after. That it wasn’t what pulled me away from my life in Las Vegas and called me to spend this time with Dharma-ji. He reminded me that our practice is an offering, and in that sense no matter how little or how much I invert myself, it is enough. For God, it has always been enough. And it was then that I gave myself permission to release the white knuckle grip I had on this pose, to slow down, to open my mind in a way that could finally absorb the technical hints my mentor and peers lovingly shared with me. And little by little over the course of the next eight days, my legs began to go up. It wasn’t until I returned to the security of my home did I fully invert away from the wall, but let me just say, it was an amazing feeling. I’m up, I’m up! I had a huge sense of pride, not for conquering the pose but for being able to let go of my ego enough to make my all my efforts an offering. And let that offering be enough. Self-realization happens in subtle moments when we witness ourselves for whom we truly are, made of our strengths and our limitations. It happens in the moments when we release what is outside of us and instead go quietly inside, gently encouraging ourselves (with a sweet English accent if possible, it bloody helps!) to experience the moment, not the result. Without bringing compassion to our practice, there is no yoga. 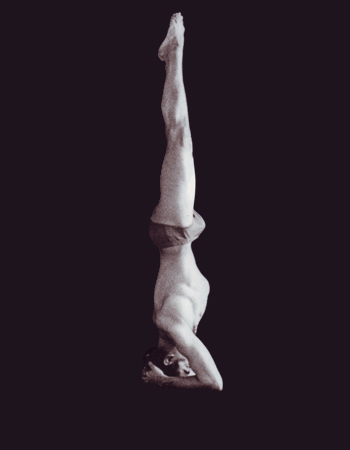 At age 45, Sri Dharma Mittra photographed himself in 1,350 postures as an act of devotion to his Guru, Yogi Gupta. 908 of these photos were used to create the Master Yoga Chart and 608 were published in his book: Asanas. At last, it's here and available for all! 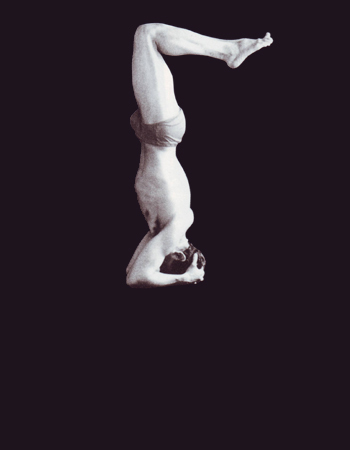 The teacher training manual used for all of our life-changing Life of a Yogi teacher training programs. 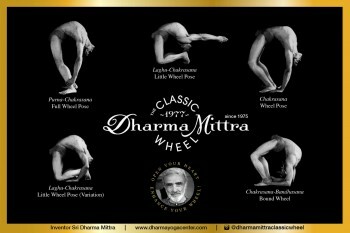 Extensively revised and edited over the past seven years and with the addition of wonderful, original artwork and diagrams by Sri Dharma Mittra, as well as many excellent historic and recent pictures of the master himself. Purchase and own your copy today! 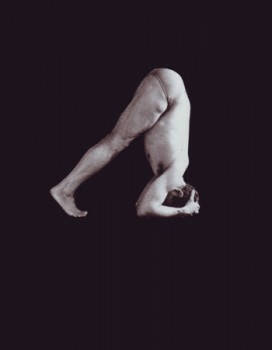 Sri Dharma Mittra created this amazing tool in 1977 to help people gain increased mobility and flexibility in achieving postures they never thought they could do. For years students observed Sri Dharma practice on the wheel and couldn't wait to do it themselves. 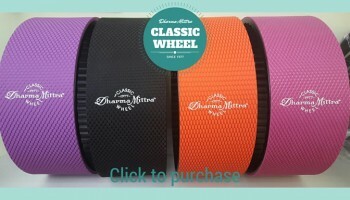 "The Dharma Mittra wheel opened my back and heart so I feel much younger in every way. It is an amazing way to stretch every day."